First, a call to action (also known as a CTA) is just a small piece of content that is used to entice the reader to take a specific action. Some marketers refer to it as JUST the copy on the button or link, while others may use the text immediately surrounding it as part of the CTA as well. 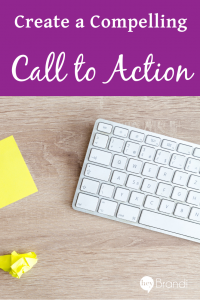 How do you create a Call to Action? For this tutorial, we’ll be focusing on the text immediately before as well as what appears on the button. Both pieces of text work together to drive the desired action. What do all of these examples have in common? They are clear and concise. They tell the reader what you want them to do, and why they should do it. So, how do you go about crafting your own strong CTA in two easy steps. For me, it’s not clear what I need to do other than click the follow-up button that says “Get Free Training.” The benefit-driven why is very clear: “build a remarkable online presence.” Now that’s something almost any business owner can get behind – so you’ll click that “Get Free Training” button. From time to time, you’ll see copywriters get more creative with their calls to action. For example, CrazyEgg’s button copy is “Show Me My Heatmap.” It’s still very clear what action they want you to take – enter your website URL and they will show you the heat map with ideas of how to improve your website. This CTA works because it still meets the criteria of clearly sharing what you want them to do, and why they should do it. In another one of the examples, the actual button copy is “Yesss! I’m ready!” This button copy is less effective because it doesn’t reinforce what you want them to do, or why they should take the action. In calls-to-action, it’s much better to be clear than clever, but if you follow these two steps, creating a compelling call to action is easy. Do you have one of those things that everyone talks about but never clarifies? Submit a question using the contact form and I’ll tackle it on a future blog post. « Should You Send Cookies with Sales Pitches?